I’m being published with Hadley Rille Books in 2011!!!!! Melissa Mickelsen wrote her first book at age fourteen when she discovered that writing was just as fun as reading. After earning a master’s degree in technical communication, she worked in Germany writing and designing newsletters for a nonprofit organization. As a military spouse, Melissa lives with her husband and their two children wherever the government sends them. You can visit her website at melissamickelsen.com. 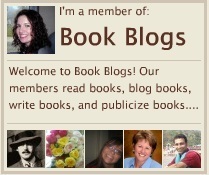 Enter your email address to subscribe to Melissa Mickelsen's blog and receive notifications of new posts by email.